Long lasting moisture for eczema-prone skin. 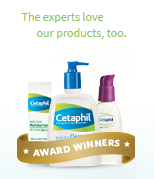 Cetaphil® RESTORADERM® Skin Restoring Moisturizer is suited for anyone three months of age and older with dry, itchy skin symptoms commonly associated with eczema or atopic-dermatitis. Developed to help replenish and protect the skin’s natural moisture barrier, this nourishing skin moisturizer offers gentle yet effective hydration for dry, itchy skin. Free of fragrances, parabens and nut oils, Cetaphil® RESTORADERM® Skin Restoring Moisturizer is easily absorbed and restores moisture to help repair the skin's barrier. 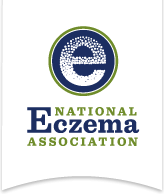 Best used after cleansing with RESTORADERM® Skin Restoring Body Wash. Use as part of a dermatologist-recommended, daily skin care routine for the management of eczema. Easy-to-use pump dispenser. Absorbs quickly. Very gentle, soothing and moisturizing. Relieves itching. A slightly medicinal scent. Quite expensive for everyday use. 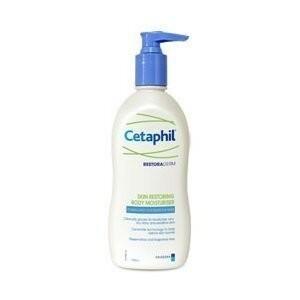 An excellent body moisturizer for sensitive, itchy or eczema-prone skin. Leaves the skin feeling soft, soothed and nourished.